Over the past century and a half, more than a dozen “historians” have debated the origins of the game of Poker. Speculation, at one point, suggested that – like the Compass, the Printing Press and Gun Powder – the game had originated in China – in fact, in the court of a Chinese Emperor of the tenth century, were it was known as “As Nas”. Yet this presumption neglects the fact that modern playing cards would, by then, not yet have been invented. A Swiss Monk named John of Rheinfelden had documented a card game that was played in 1377 with a deck of 52 cards. But even then, the cards of that time and place would have been nothing like the cards which grace today’s gaming tables. So it would be, that for the origins of poker, centuries would yet have to elapse, before another candidate would appear. A betting game, using terms similar to poker, called “Teen Patti” was found in India, also played with a 52-card deck – but once more, the deck and the symbols of that time and place were in no way modern. 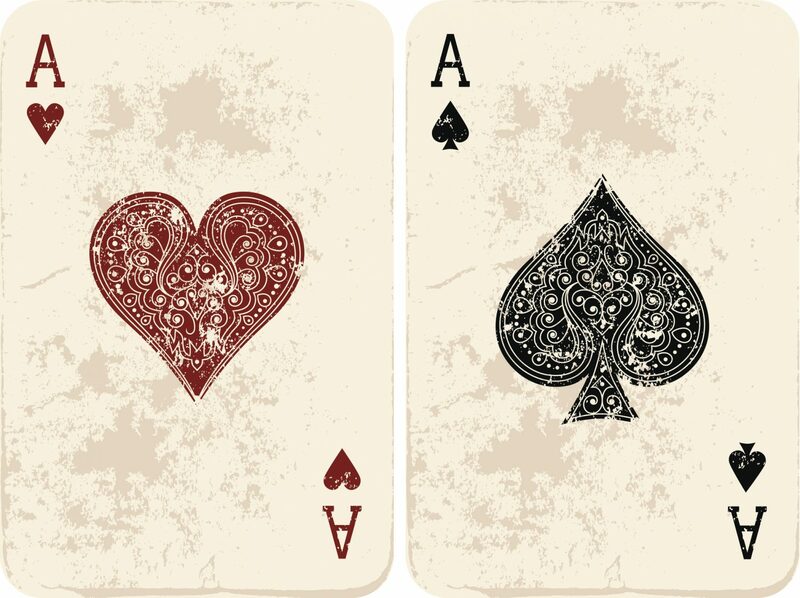 The invention of modern playing cards is documented to have occurred – that is with a 52-card deck festooned with hearts, clubs, diamonds and spades – in France by the start of the fifteenth century. This configuration, over time, was sufficiently popular to have spread throughout Europe by 1480. Playing cards for poker. Original deck in modern line art style. Set of 54 cards. Some time later, the game of “Brag” sprang into wide popularity in England. 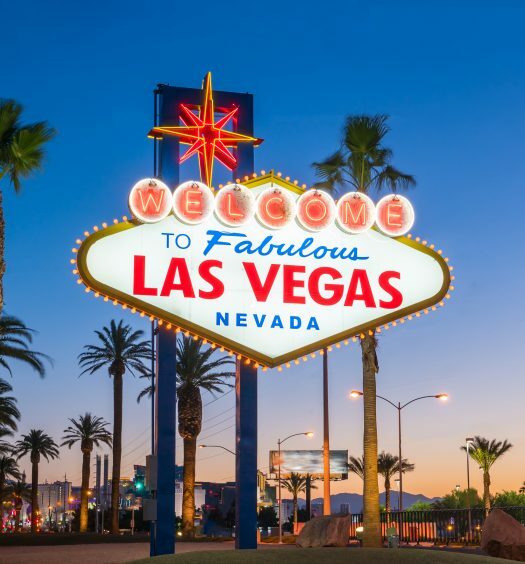 And since that game employed such popular terms as Flush, Blind, Pot and so on – and held strong over-tones of betting, experts now consider this to be the true roots, at least, of modern Poker. Yet even so, considerable evolution in the game had yet to come, and many twists and turns in this fascinating story awaited, to reward the determined researcher. But if we now bring the tale into the modern era, the story continues at the beginnings of the nineteenth century, and the legendary river boats that plied the Mississippi and Ohio rivers, of the early American frontier. 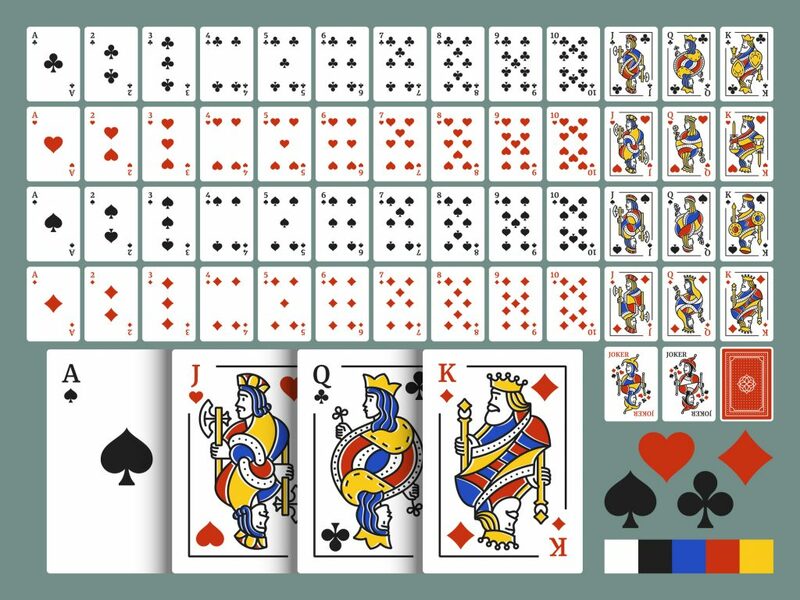 There, in the first decades of the 1800s, a card game similar to Poker (called Pokah) was played frequently in the gambling rooms of the river boats of that age, although it used a deck of only twenty cards. 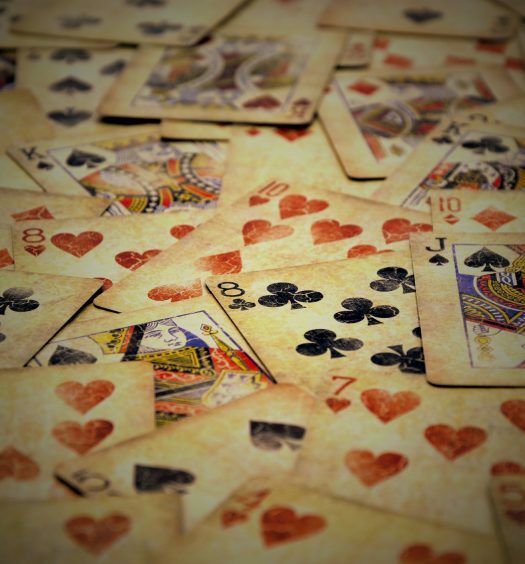 Yet within the twenty years immediately preceding the American Civil War, 52- card Poker had by far become the gambling game of choice – pasteboards, chips and pistols were characteristic artifacts of the gaming tables of the United States, and eventually throughout the world.